The novel follows three generations of the Brangwen family living in Nottinghamshire, focusing on relations and sexual dynamics of the characters. 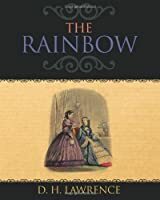 The Rainbow represents Lawrence's frank treatment of sexual desire and the power it plays within relationships as a natural and even spiritual force of life, and explores the topic of female homosexuality. I put this off because it was so long...read all his others....wasn't wowed but the plot was interesting!